Planning permission has been granted for 767 new homes in Inverness. 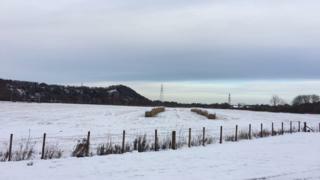 Tulloch Homes has proposed building the mix of houses and flats in three phases on farmland between Dores Road and the River Ness. The area, near Inverness' new West Link Road, was first allocated for housing in the 1980s. Highland Council planning officers had recommended that councillors on the south planning applications committee approved the project.